Toyota introduced the refreshed 2020 Tacoma at the 2019 Chicago Auto Show. 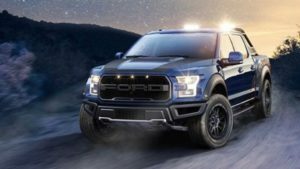 Automaker’s bestseller adopted a more interesting design, but essentially, the mid-size pickup truck stays almost the same as the model that inherits. 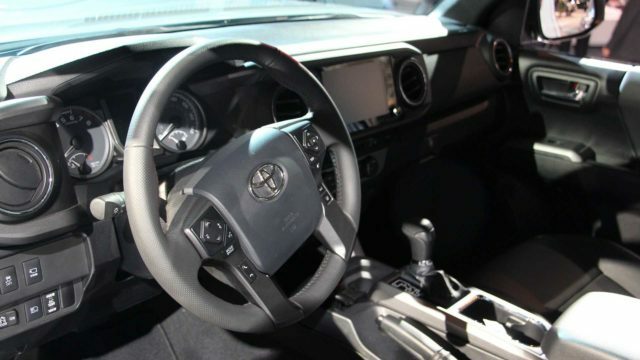 The 2020 Toyota Tacoma features an updated infotainment system. The new multimedia hosts Android Auto and Apple CarPlay systems, as well as Amazon Alexa and SiriusXM capability. 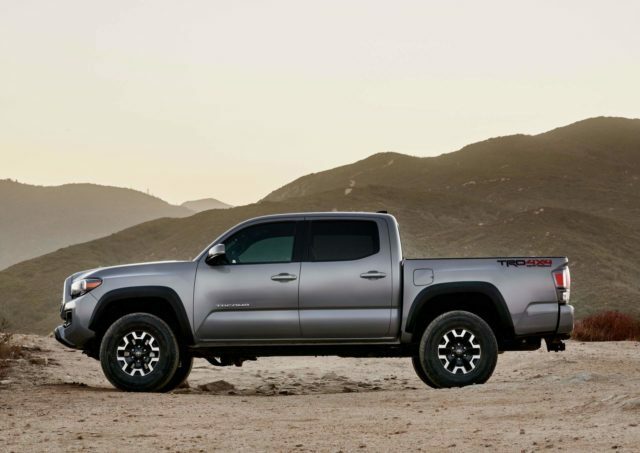 The manufacturer will offer 30 different configurations of the workhorse which will be based on six trim levels: SR, SR5, TRD Sport, TRD Off-Road, TRD Pro, and Limited. Options above SR5 will be fitted with an all-new 10-way power adjustable driver seat with power lumbar support. The upper trims will have an 8-inch touchscreen, while the entry-level stays fitted with a 7-inch display. It’s important to mention that Toyota makes no difference between trims when it comes to safety. 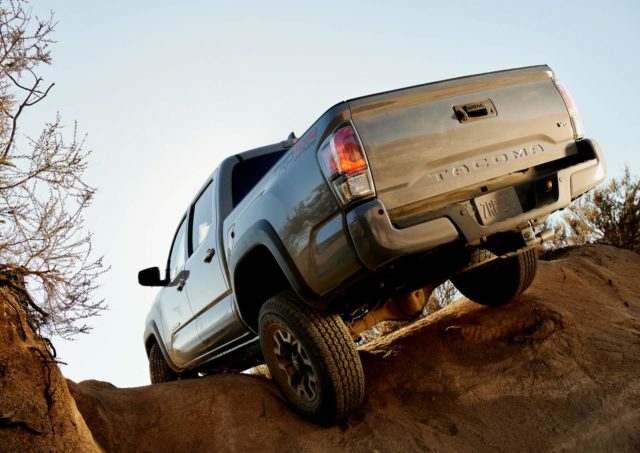 Yes, every single 2020 Tacoma will be coupled with the Toyota Safety Sense P suite that includes Pre-Collision System with Pedestrian Detection, Lane Departure Alert with Sway Warning System, Automatic High Beams, and High-Speed Dynamic Radar Cruise Control. Outside, the updated mid-size truck gets just a few changes. 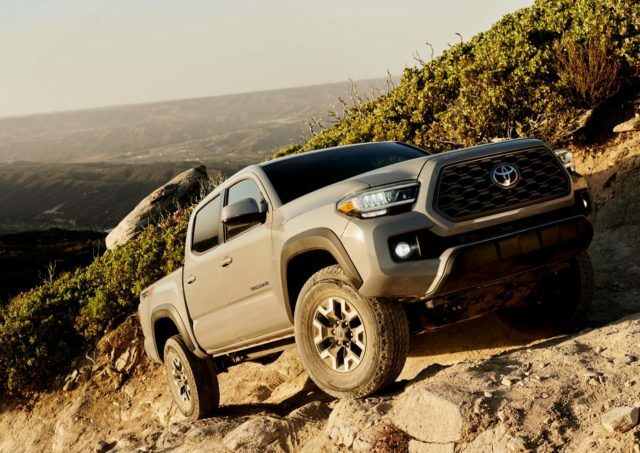 The 2020 Tacoma sports a new grille and available LED headlights for most of the models. In the back, the automaker brought revised and smoked taillights, while the dark shade infected the wheels as well. Toyota paid special attention to its TRD models, though. In addition to updated suspensions systems, the pickup trucks have got a range of useful goodies. The 2020 Tacoma TRD Off-Road comes paired with Multi-Terrain Monitor. On the other hand, the TRD Sport gets Passenger Smart Key entry and some chrome to the taillamp. The Pro version, however, features updated tuning of the Fox 2.5-inch internal bypass shocks and front and rear springs. The new Tacoma continues to exploit its old engine options. The popular nameplate uses a 159hp 2.7-liter four-cylinder and a 278hp 3.5-liter V6. Both mills come paired with a six-speed auto transmission. However, the V6 unit can get an optional 6-speed manual gearbox, too. Also, the V6 delivers quite impressive 6,800-pound rating thanks to a Class IV hitch and an upgraded cooling system. 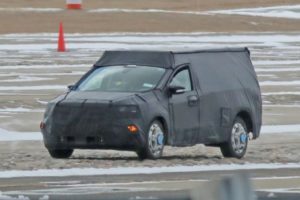 The automaker hasn’t released any information regarding launch date or pricing of the 2020 Toyota Tacoma, so stay tuned for updates.